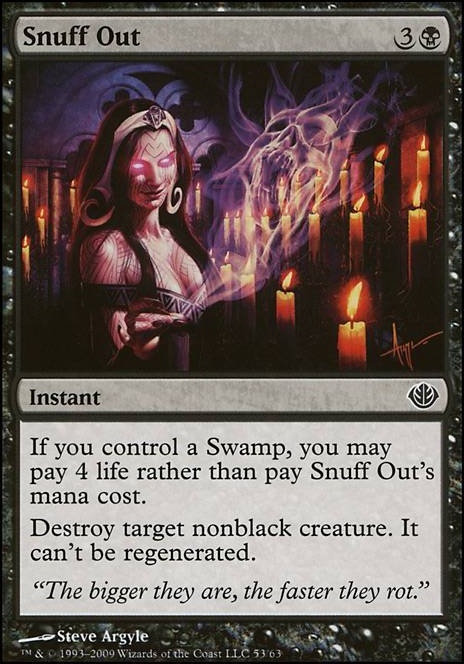 If you control a Swamp, you may pay 4 life rather than pay Snuff Out's mana cost. I took out Snuff Out because I only run 4 Swamps, so I feel it is a little inconsistent in being able to cast it without its CMC cost. See the Unwritten was switched because I honestly think the other two cards outvalue it significantly, and it the creatures entering don't give me cascade triggers. I'd prefer to keep things in my library rather than chancing it and getting rid of 6-7 cards for 1 creature. 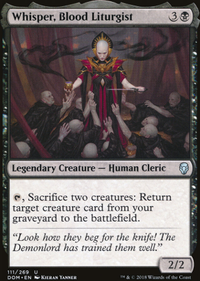 As for Slaughter Pact , I think it can be a bit dangerous... some of my usual opponent play often cards like Stasis , so it would be impossible paying next upkeep. I would probably say you can also add in a Slaughter Pact or Snuff Out for the free cast kills. Hey there! Your deck needs a bit of work, it looks like it's running a lot that has fallen out of favor lately. It needs streamlining, and some better cantrips too. 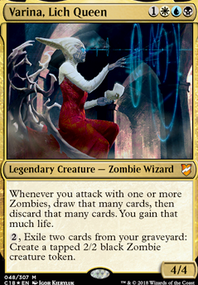 First off, Ponder , Preordain , Gitaxian Probe and Brainstorm should replace Portent , Opt , Peek , Thought Scour , and Mental Note . It'll give you much better filtering and allow you to dig for answers more efficiently. Second, if you're running mainboard fliers Stormbound Geist is much more resilient than Sultai Scavenger , and easier to get out too. Warped Landscape isn't amazing in this format.. 18 Lands is correct, but it's best to run more fetches to pump out Anglers quicker (3 Terramorphic Expanse , 3 Evolving Wilds , 1 Ash Barrens and a 9/2 Split for basics, Islands being the 9). Gush makes your late-game so much more powerful, and the synergy with Foil is comparable to Force of Will , so you'll want 3 of each. 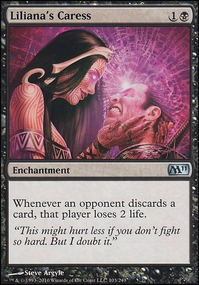 Snuff Out is also important for your removal suite, which should also include a copy of Chainer's Edict and 2 Echoing Decay s. One or two extra Augur of Bolas never hurt anyone. Finally, you might also want to run Curse of Chains and Dispel . If you need a resource to check what U/B Delver is running atm, you should look at MTGGoldfish's Pauper Meta review, it'll show you the top-tier lists and give you an idea what you should run. maybe cut 2 mana rocks in addition to the earlier notes I provided. The warhammer gives lifelink, super! Gut shot is nice cause you can fix your life total before switching 1, point for casting or 2, or 3 points if you target yourself for free. Same drop slot and you stop opponents being able to manipulate their own life total by playing creatures. One more mana, and you get to cheat out Triskaidekaphobia or Axis of Mortality at instant speed. Too slow, and necrologia lets you draw a bunch of cards. Again, you don't want them to fix their own life total themselves. Blood celebrant lets you fix your own and fixes mana, so good. I know you like the multiplayer discard, but I think vexing devil is better in this slot. This is really up to you, I like the idea of trading life for creature removal but your mileage may vary. You run way too many tech enchantments that you want to be able to get back. Just a strict upgrade IMO.